In this blog you will find comments on marketing related items taken from a range of media sources. You are invited to think about the issues raised and add your comments. The blog is particularly relevant to students as it will refer to theory and provide case material to cite in examinations and coursework. (Subject, of course, to the usual rules on plagiarism).The blog is mainly Hugh’s thoughts but there will be occasional contributions from fellow marketing lecturers on topics that have caught their attention. Students at all levels of marketing study will find this a useful source of information. Is disruptive marketing disrupting theory? Every so often a book or an article or even a blog item comes along that threatens to substantially changes one’s perspective on marketing. 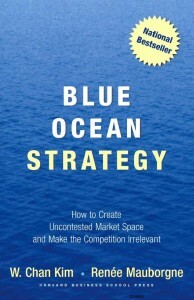 Such a book might be Blue Ocean Strategy written by W. Chan Kim and Renee Mauborgne in 2005. In itself it will not bring about a fundamental rethink, but it does raise a number of interesting ideas. The central tenet is that by creating new markets for products a company removes the element of competition and allows the freedom to exploit the market potential unhindered by aggressive competitors. It seems to me there are similarities here with the more recent concept of disruptive marketing and disruptive manufacture. It also harks back to a long established theory of First Mover Advantage. Kim and Mauborgne suggest an organisation can develop strategies for creating or identifying blue oceans, that is to say markets new to both customers and competitors as opposed to red oceans made so by the bloody effects of competing in established markets. So why is this different from what Gregor Ansoff was doing in the 1950s? His matrix posited the idea that strategies are derived from a mix of existing and potential customers and products. The highest risk quadrant being new products into new markets. One major difference is that Ansoff was looking at it through the lens of the company; so a new market is only new to the organisation not necessarily to the consumer. 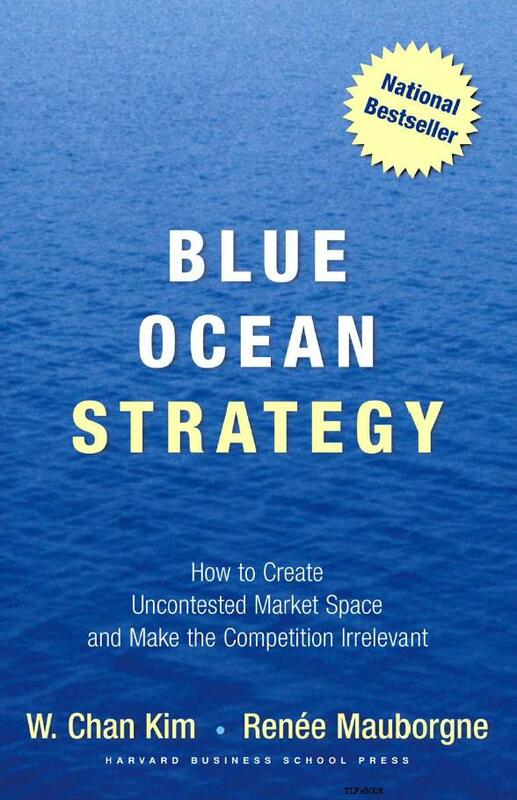 A Blue Ocean Strategy seeks to identify new markets where competitors don’t exist, but then neither do customers. It is by implication then a very high risk until the potential is proven. The book cites many examples: the Cirque de Soleil, Henry Ford, Compaq, CNN, Starbucks and SouthWest Airlines. All are now major brands and all are examples of products that created a previously unrealised market. It is though interesting to note that almost none were original products. There was already more than 500 motor manufacturers in the US when Henry Ford turned the manufacturing of automobiles on its head using production techniques adapted from the meat packing industry. CNN were not the first to broadcast news or Starbucks the first to sell coffee. What these brands do have in common is they comprehensively disrupted the existing market. So South West Airlines though offering seats on aircraft as did all the competitor airlines, created a new market for low cost travel that in effect competed against the car, not other airlines. In doing so they blew the airline industry wide open and generated a new breed of air-traveller that wanted convenience and utility at an affordable price. Of course, it is now a widely copied model around the world. And that raises a point that a number of writers are making including Ruth McGrath, professor at Columbia Business School. Disrupting a market by identifying a blue ocean, and taking advantage of being the first mover is transient. First mover advantage has been long established as a principle and there are many examples of products and brands that have established dominant market positions by breaking new ground and establishing a competitive advantage and sustaining it. But, consider that xxxxxx made the point: more products have succeeded through being the second mover than first. So where does this leave us? Adopting a blue ocean approach can be very successful, but not every organisation can create a brand new market. Second movers, if they have the resources can be, and often are, the winners in a new market. And lastly blue oceans are unlikely to remain so and markets are transient and liable to be disrupted. The real winners are those with creative insight, an ability to see an unfulfilled need and are prepared to take a risk to exploit the opportunity. ← Is Price Now the Dominant P? In the second to last paragragh, the point was made by Professor Venkatesh Shankar from Texas A&M. Hugh Conway lectures in marketing although prefers to be known as a facilitator. He works with students on marketing strategy, planning and sustainable issues. Is Price Now the Dominant P? Copyright © 2019 Hugh's News. All Rights Reserved. The Magazine Basic Theme by bavotasan.com.